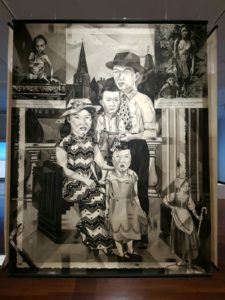 This is the second of a two-part essay on origins and rise of biennales within the context of Malaysia’s aspirations for a world-class international visual art mega-exhibition. Read Part I here. Increasing scholarly focus has been directed on the biennale trend over the past two decades, along with the rise in prominence of the contemporary art fair and, indeed, the changes in the very field of contemporary art, from the effects of globalisation to the recentring of power, and in the phenomenon of its increasing popularity with mass audiences. While in Singapore this January, a symposium convened questioning the value of the Biennale as a format for international exhibitions of contemporary art, in Malaysia, members of an organising committee presumably have a belief in such value, as they gear up for KL’s first art biennale, expected in November 2017. In Part I of this two-part essay, I described three biennials in the region and offered some perspectives of what biennials ‘do’. Some of these main reasons for organising a biennial will be reiterated here as we consider the fruitfulness or, the futility as I intend to argue, of the notion of a KL Biennale. We shall start with the logic of governments. A biennial can rejuvenate a city and arguably bring about local economic benefit through consumer spending around the events; it is a cultural diplomatic platform for engagement with nations; it builds cultural and social capital and signals to an international community a cultural sophistication of the host city/country; and lastly, it does this by the creation of a spectacle that has entertainment value and high public relation potential – the ‘biennale’ as a brand is now globally recognizable. 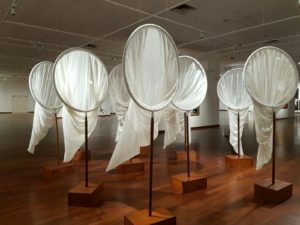 Bibi Chew, ‘Wind Catchers’ (2003), pictured here at the National Visual Arts Gallery Malaysia, was shown at the 3rd Fukuoka Asian Art Triennale, 2005. For the arts community, biennials, with their particular format, serve as a platform for dialogue and exchange with other artists, curators and members of a global arts world. It puts a larger, brighter spotlight on local artists, and allows them to make their practice known to their international peers and to an international audience – biennials can validate. It also creates a space for reflection, for the reinforcing or challenging of values, by artists and by the public who may attend or read about it in the newspapers or online. Lastly, and more abstractly, a biennial is part of a global system and conversation. To host one includes its organisers and participants in this, a participant in centre-periphery shifts and a reframing of what global and local means, on your terms. Given the remarks comparing the biennale to a fashion week, and the sluggish and shrouded process leading up to the event, we see little to inform us of the strategic direction of what, I fear, has all the hallmarks of a spectacle as the latest venture of the Tourism Ministry. To be engaged in a global conversation about contemporary art in Asia is not a metaphorical statement; why stage a biennial if not to participate, and, indeed, steer a conversation about art and art history, and about social issues of local and global relevance? 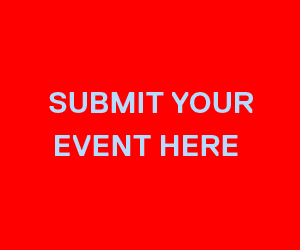 For both arts community and audience, a biennial affords opportunities for intellectual reflection – it is an opportunity to gather not just artists, but leading curators, thinkers, academics and public intellectuals, to ruminate on pressing global issues. Will the Kuala Lumpur Biennale do this? Can it? 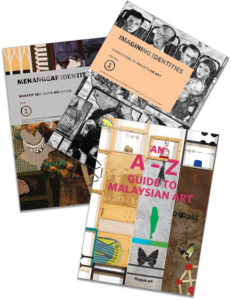 We have, in Malaysia, a number of artists who have built international reputations and are in regular attendance at fairs, festivals and international exhibitions; they are well networked and some also have international gallery representation. However, we see considerably less representation as curators, speakers on panels, writers, critics or academics – all key figures in the regional circulation of goods and ideas in the realm of biennials and international art expositions. This is not to discount the work of individuals such as Beverly Yong, previously with Valentine Willie Fine Art and founding member of arts consultancy group Rogue Art; curator, artist and educator Yap Sau Bin, who is currently co-curating a large Southeast Asian regional exhibition funded by the Japan Foundation; and Nur Hanim Khairuddin, editor of local arts publication sentAp!, who has just been on the curatorial team of the Singapore Biennale 2016. 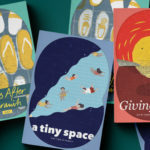 Their work is acknowledged here, together with that of an emerging number of younger individuals stepping into the arena as curators and writers. Despite this, however, there is still a dearth of regular, sustained critique or analysis on visual arts practice or the industry in Malaysia. Such individuals are vital in both the shaping of the biennial, as well as in their responses to and engagement with the institution in order to make such an event have resonance. Cover of sentAp!, Issue 3, April – June 2006. Designed by Yan. Cover image: Azizan Rahman Paiman, “Sky Kingdom II”, 2006. The lack of domestic art critics and theorists is a condition discussed in some detail by Sarena Abdullah in her study of 2012 on art criticism versus art writing in Malaysia where she attributes this deficiency to the failure of the education system to generate scholars in the liberal arts and humanities with the necessary theoretical grounding and critical skills of analysis to produce writing that goes beyond mere reportage, formal analysis, and artist biographies. Although this may change for the better with new, young historians and curators emerging in the field, I ask what role they might have, if at all, when the KL Biennale takes place this November. Besides the critical viewpoints of curator or artistic director, there are other considerations to be had in the staging of a biennial. A biennial is – or, rather, should be – more than simply inviting artists and some international names to participate in a large exhibition. Curating is not collage-making. And the organisation of a successful biennial or large arts festival relies not just on the lead curator or artistic director, but on a team of people ideally helmed by strong and competent managers. The curator provides vision, but a spectrum of other individuals make it come to life. This too is lacking in Malaysia, and our education system has not produced the needed competencies to do this. We still have no clear arts policy to speak of and no strategic direction for the development of the arts and artists, writers, commentators, programmers, educators, managers, and those that make up a viable, functioning arts ecosystem. The outdated cultural policy of 1971, widely known to be a socially and economically motivated instrument of control, still holds. 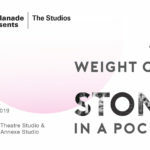 In 2010 the government released a new document, the National Creative Industries Policy, an aspirational policy with broadly described goals, and the visual arts is included in their ‘strategies’. However, little else has accompanied or followed on from this to shed light on how the policy is being executed at the implementation level. The processes of the state, and the organisers they appoint, are opaque and, in the arts, rarely critiqued in a public forum, whether through media or through academic analysis. In the arts, thus, we seem to lack an ability not to challenge, but to engage in productive discourse. What I am referring to here goes beyond art criticism to a wider discourse on the arts that takes into account its intrinsic and extrinsic factors. Critical conversations do take place privately, and I myself have taken part in many, but over the years these do not seem to have translated sufficiently into documented critiques or forms of advocacy. Some may contend that critical conversations are also taking place in ministry offices and those of private agencies such as the My Performing Arts Agency (MyPAA) and Kakiseni, but at what point should these conversations move from behind closed doors, and evolve into strategies for implementation and participatory processes that include greater representation and diverse and possibly divergent points of view? It is also imperative that strategies should not be solely focused on the generating of more events or productions, where the mark of success is in the number staged or in the scale of the spectacle, but should be focused on long term development goals. This necessitates a reassessment of how we are training and developing not just artists but arts professionals; it requires the professionalisation and greater accountability of our arts institutions, a thorough study and assessment of funding mechanisms both public and private, strategies for the cultivation of arts audiences, and the opening up of more spaces for critical reflection. At present, the artists we produce tend to be strong on technical skill but low on theory. Few of us are able to articulate our views with confidence on the international stage, and our educational institutions have fallen woefully behind in the the academic arena. These criticisms extend, it must be said, beyond the arts, to a wider Malaysian context. It begs highlighting, therefore, that there are more profound issues at stake and posits that the spectacle of a biennial actually detracts from these issues. Perhaps, though, it is precisely because of these deficiencies that one can argue for a biennial, to help in affecting change. As in the cases of Indonesia and Kochi, India, the biennales there act as a catalyst for arts discourse, urban renewal, and international exchange with local impact. The role the biennales play is one that takes on greater significance in the absence of policy and government-led arts infrastructure development. In Malaysia, the situation is not dissimilar. 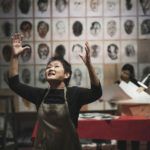 The national institutions have languished and government spending in the arts has tended to be directed towards events higher on spectacle than substance, such as 2015 and 2016’s ‘DiverseCity Kuala Lumpur International Arts Festival, and the annual 1Malaysia Contemporary Art Tourism Festival launched in 2010 by the Ministry of Tourism. 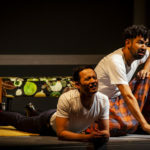 These events, however, do not appear to fit into any larger strategy for the development of the arts in Malaysia, and if, anything, seem to have a tourism agenda at their heart. For too long, the arts in Malaysia has been linked to tourism and this seems to not be abating any time soon. 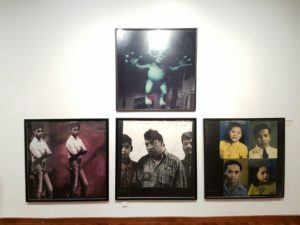 Unless more Malaysian artists, cultural activists, academics and other arts professionals become active agents in the shaping of an event like a biennial or, at the very least, in a robust and critical and open dialogue around it, it is unrealistic to expect to see a KL Biennale that has any impact. In Jogjakarta and Jakarta, the activism of the artists has been profound and led to a major shift of the biennales organisation from government to artist-led, and this is personified in the setting up of the biennale foundations. The Kochi-Muziris Biennale is also run by a foundation, which is made up of individuals from outside the government sector, drawing a clear line between the event and the state. The organisation of a biennale by artists and an independent foundation is a significant marker of its ethos. In Singapore, by contrast, the Biennale is administered by the Singapore Art Museum and has a much closer relationship with the government. 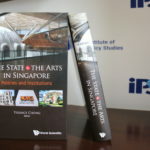 This is, however, typical of the arts landscape in Singapore, and, although there is much critical analysis of their policies and strategies, we can at least recognize that the biennale is part of a much deliberated and frequently reviewed strategy for arts development involving multiple stakeholders and a multifaceted approach. 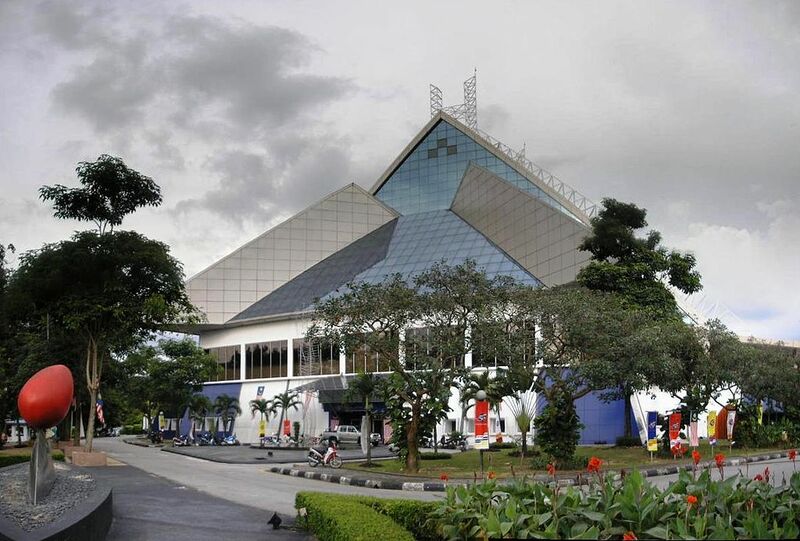 In Kuala Lumpur the biennale will be run by the National Visual Arts Gallery, but it does not appear to be part of a wider plan for arts and culture development. If there is, in fact, a vision for the KL Biennale, I ask what it might be. If it is going to be yet another example of government posturing and grandstanding, without sufficient thought and resources put into its purpose and organisation, I say let us not bother. If it is for artists to come together, uncritically, and engage only in self-affirmation amongst themselves, I also say let us not. If it is a KPI that must be fulfilled to satisfy a government objective, then let us talk about that objective and strategise the ways (and there will be many ways, not just a singular event) to achieve this. Or, if necessary, let us disagree with the objective and devise, together, alternatives. A biennial is wasteful and indulgent as a mere feature in the tourism calendar, as a government-backed spectacle that makes no lasting impression nor contributes to real development or advancement for the arts, let alone the people. We have seen how biennials are proliferating around the globe, and, sometimes, in unlikely places. As a final point in closing, I want to mention another new addition to the roster this 2017 which is in Karachi, Pakistan. It has been announced that the first Karachi Biennale will be held in the third quarter of this year, which will mean it will be followed shortly after by the KL Biennale. Karachi and Kuala Lumpur: both cities with severe limitations on freedoms of expression and human rights (although the arts can be a beacon of hope as a challenge to these restrictions); both cities desiring to be ‘on a global map’ of art and culture. It will be interesting to see if and how a biennial can help to open up the opportunities for discourse, not just amongst artists and the public, but also with the respective governments and authorities. Scholars and international agencies such as UNESCO have recognized the role of culture in development, but this concept has not gained much traction in countries like Malaysia. Development cannot take place without basic fundamental freedoms. One wonders about the negotiations that will have to take place for the staging of a biennial and, especially when it is administered by the state, how much freedom those involved will have. However, to end on a more optimistic note, change can happen over time and, perhaps, a biennial can be a way to advocate these freedoms. As the KL Biennale goes forth, despite my many misgivings, we can, perhaps, not just wait and see what happens, but try to actively engage in making it more relevant. Cultural Research, 14:2, April 2010. At the “Why Biennale at All?” symposium organized by Singapore Management University and Singapore Art Museum, 21-22 January 2017, an audience member who revealed himself to be a member of a discussion group in communication with the KL organizing committee, made an analogy between biennales and fashion week in response to a question raised about rumours of a KL Biennale, as witnessed by the author. 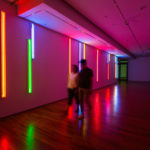 For those unfamiliar with biennials, they usually have a theme or intellectual premise which the artworks/artists respond to, and the practice tends to be that these address global issues, in keeping with the biennial as a space for international discourse and in the upholding of the humanist ideals of art. First published as a journal article in Kemanusiaan: The Asian Journal of Humanities, 19:2, and reproduced in 2016 in Narratives in Malaysian Art Vol. 3: Infrastructures. This policy document can be found on the website of the Ministry of Communication and Multimedia here. Notable exceptions would be the occasions that human rights violations and creative expression have intersected, such as seen in the activities of Artis Pro Active (APA) in the late 1990s and the work on freedom of expression by organisations like the Centre for Independent Journalism. MyPAA and Kakiseni are both private agencies that function predominantly as producers and event organisers, with MyPAA engaging in advocacy and capacity development as well. While both have more of a performing art concentration, their actions and the nature of interdisciplinary arts have visual arts implications. An announcement reported in media with public statements from some members of the biennale committee, and a Karachi Biennale Trust has apparently been established. 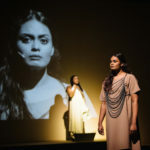 Guest Contributor Sunitha Janamohanan has been working in the arts in Malaysia since 1999 and has been an arts manager, producer, curator, and heritage manager. Since 2015, she has been teaching in the Programme in Arts Management at LASALLE College of the Arts, Singapore. Her research interests include regional community or socially engaged arts practice, and how cultural policy is implemented – or not. *Editor’s Note: This essay was amended on 9 March to note that the speaker was not a member of the organising committee as originally stated, and to reflect his use of the idea of fashion week as an analogy. Thank you Sunitha for a very enlightening take on the course of our KL Biennale 2017 . I am sorry but we , at the NAG , or the KLB Committe cannot be held responsible for whoever has declared that the KL B is akin to a fashion week and I suggest , until you get the point clearly validated, you should treat it as hearsay. I appreciate also your usage of three of the iconic works in the NAG collection by artists I Lann Yee, Wong Hoy Cheong and Bibi Chew (images above taken from the Biennale overview exhibition at the NAG I presume you have visited ,which I curated entitled Retrospektif Biennale 8 dec 2016-8 Jan 2017) . Nonetheless, very good points made and I particularly like how you manage to use the word ‘conversation’ in articulating what biennales should be a part of . My intention here is for us to start a conversation on how to make this work , as your last line concludes ..’to actively engage to make it more relevant’. The first few steps to actively engage is to converse with us at the NAG . Keep up the good dialogue, and hope to meet up for a conversation , in person ,at your earliest convenience.Been years since we spoke? Thank you very much for your comments. I’d like to respond here to just two things you raise, but would also love to talk more and look forward to the opportunity when I am next in KL. First, the remark using the analogy of a fashion week was one that I heard and saw myself during the Biennale Symposium in Singapore this January, and the person who made this statement did, in fact, publicly claim to represent the KLB organizing committee. I am merely referring to what was observed, not just by myself, but a room full of other symposium attendees. I do recognize that it was an off-the-cuff statement and not an official one from NVAG or the KLB, and I did not engage with him for any kind of verification or clarification of his views; however, this is actually a minor point to illustrate a need to interrogate the purpose and shape a biennial in KL might take and why. Secondly, it is great to know of your openness to dialogue, and I hope that there is also a recognition of the many ways for discourse to take place, of the different parties whose views could be considered, and of the need for more criticality. I look forward to seeing where this goes.